THE CRAZIEST BARRIO IN SOUTH CENTRAL! WE DON'T DIE WE MULTIPLY, RABBIT STYLE!!! PURO PBS GANG!! CHILLIN IN SOUTH PARK ON A SUNDAY AFTER NOON WITH MY RUCA!! O.G. MR. CAPONE IN THE FUCKEN HOUSE! ES PLAYBOYS 51 STREET! AND WHAT!!! THE PLAYBOYS 13 GANG WAS ORIGINALY STARTED IN THE EARLY 1960'S IN THE PICO AND FEDORA AREA. THE PLAYBOYS13 WERE ORIGINALY A CAR CLUB. SOON AFTER IN 1975, EASTSIDE PLAYBOYS 13 WAS STRARTED ON 39ST AND SPRING ST. IN 1978 THE EASTSIDE PLAYBOYS 13 FOUND IT'S MAIN TERRITORY, WHICH STRETCHED FROM KING BLVD TO THE NORTH, SLAUSON TO THE SOUTH, CENTRAL AVE TO THE EAST, AND BROADWAY BLVD TO THE WEST. THE TERRITORY IS STILL CALIMED BY THE ES PBS GANG. IN 1981, A MEMEBER OF THE EASTSIDE PLAYBOYS13 BEAVER ,BROKE AWAY AND STARTED THE EASTSIDE 13ST GANG. 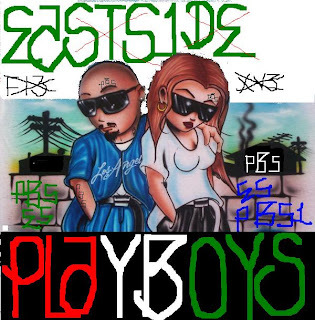 IN 1987, A GROUP OF ES PBS MEMBERS BROKE AWAY AND STARTED THE EASTSIDE 41ST GANG, AND THE SOUTHSIDE HANG OUT BOYZ. 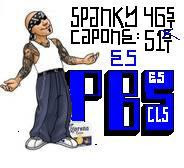 IN 1991, ANOTHER GROUP OF ES PBS MEMBERS STARTED THE EASTSIDE 55ST BUNCH GANG, WHICH ALL FOUR GANGS ARE RIVALS OF THE ES PBS. ALL FOUR GANGS ARE STILL MODERATELY ACTIVE, BUT ONLY HAVE VERY FEW MEMBERS. 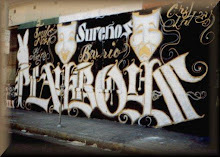 SOUTHSIDE PLAYBOYS 13 WAS STARTED IN 1982 IN BELL GARDENS AND IN SOUTH GATE. SINCE THE ORIGINATION OF THE PLAYBOYS13 STREET GANG, PLAYBOYS 13 HAS STARTED CLICKS IN BURBANK, PALMDALE, STOCKTON, WASHINGTON, VIRGINIA, AND ENSINADA. THE PLAYBOYS 13 GANG IS A UNITED STREET GANG AND IT CONSISTS OF THE FOLLOWING CLICKS: CLS 42ST 46ST 49ST 51ST 56ST RT CYS BBS DKS MLS BGS ENS TDBLS SXPLS. THERE ARE ABOUT 800-1000 ACTIVE PLAYBOYS MEMBERS FROM ES WS SS.